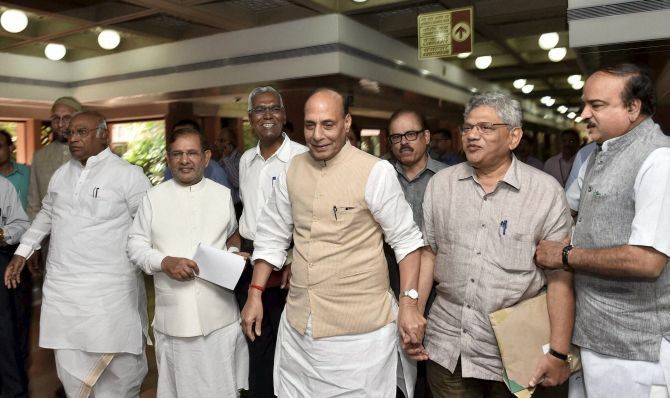 The Union Home Minister Shri Rajnath Singh today chaired the follow-up meeting of the All Party delegation that visited Jammu and Kashmir on September 04-05, 2016. “The members of the All Party Parliamentary Delegation have expressed serious concerns of the prevailing situation in the State of Jammu and Kashmir. The members of the delegation are of the opinion that there is no place for violence in a civilized society. There can be no compromises on issue of National Sovereignty.